Fox has not picked up Terra Nova for another season, but apparently it liked the show enough that it’s trying to sell it to someone else. The drama featured pioneers going back in time and to a new dimension, leaving their old, heavily polluted, oppressively regulated, used up earth, and starting new lives at a time that dinasours still roamed the (in other dimension, so no time interference issues) earth. Except for a bit… ok, quite a bit… of violence and some occasional scary monster looking dinosaurs, the show was something the whole family could watch and enjoy. There were some touching moments and strong family connectedness in the show. And while it often felt like the series could/should somehow be ‘better’ than it was, the characters were likable and interesting. But production of the show was expensive. Word is that the 2 hour premier cost $14 million to put together. The ratings indicated about 7.5 million people per episode tuned in. Not bad, but not as high as expected. The killer? Viewership for the 2 hour season (now, apparently, series) finale fell to 7.2 million. Fox said it did end up making money on the series, but apparently they were looking for more, considering the capital they are risking with the high production costs. 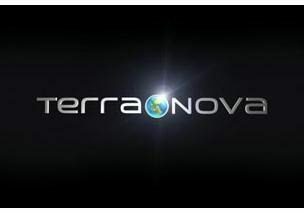 While it’s possible that Terra Nova will be picked up by another network, it’s a fight against the clock. The longer it hangs out there without moving forward, the harder it will be to bring the team back together to keep production going.